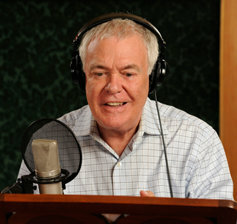 Today we are interviewing Phil Proctor, an internationally known actor, singer, writer, composer, director and producer. Well-known for his work on Firesign Theatre for which he received 3 Grammy nominations, Phil has appeared on numerous TV shows and films including Howard on the Rugrats, (with a star on the Hollywood Walk of Fame and three Daytime Emmys); seahorse Bob in Finding Nemo, Charlie in Monsters, Inc., the drunken French Monkey in Eddie Murphy’s Dr. Dolittle series and a chef in Spirited Away. 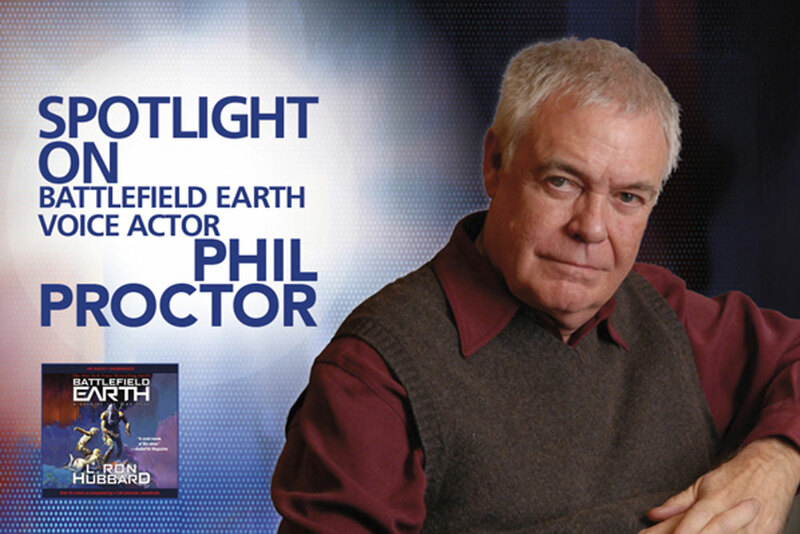 Phil has performed on many of Galaxy Press’ audiobooks, including our latest release Battlefield Earth: A Saga of the Year 3000. Well, I was a science fiction fanatic when I was a kid. I used to read a lot of the pulp fiction science fiction publications, Amazing Stories, and, gosh, I can’t remember the names of all the publications, but I was a devoted science fiction follower and would buy up every book that came out. Of course, I read a lot of Mr. Hubbard’s stories and that’s how I first became acquainted with his writings, through that. It wasn’t till later that I began to realize that he was also writing in other genres as well. But science fiction was the one that I really enjoyed the most. YOU’VE BEEN IN THE ENTERTAINMENT BUSINESS FOR A LONG TIME. HOW DID THE STORIES YOU READ WHEN YOU WERE YOUNG INFLUENCE YOU? Being a member of a group called The Firesign Theatre, a four-man group that has written and created stories that we primarily did in an audio form over a 50-year period, I feel that I was stimulated not only by L. Ron Hubbard but by other science fiction and fantasy writers at the time, to pursue this kind of genre in my own work. And in particular, the idea of how society influences the future evolution of mankind and government and philosophy. The thing that led me to the Firesign Theatre was the opportunity to create new story ideas, new storytelling manners and an opportunity to create a whole plethora of new characters, of different characters, which I’ve been able to do with my voice primarily on recordings. IN BATTLEFIELD EARTH THERE ARE 198 DIFFERENT CHARACTERS. TELL US ABOUT SOME OF THE ROLES YOU PLAYED IN THE AUDIOBOOK EDITION. You know, one of the magical things about doing voices and one of the most fun things about working on L. Ron Hubbard’s projects is that he’s created so many colorful characters and so many different worlds and so many different dialects that you are stretched constantly to create some kind of a vocal character that is either your image or the director’s image or Hubbard’s image of this person. You try to find the character in your voice and in your attitude. I also played Chief of the Argyles. I love doing the Scottish accent. I’m not sure it’s totally authentic but it’s so much fun to do. It makes you think of thistles with dew on them, you know. It’s both sharp and kind of wet at the same time, kind of like the Scots. YOU SPEAK 7 LANGUAGES, INCLUDING RUSSIAN, AND ALSO PLAY A RUSSIAN IN BATTLEFIELD EARTH. Well, of course I played a Russian because I am a spy. [laughs] Everybody says, “Why you speak so good Russian? Why you know this?” [said in a Russian dialect] It’s like no acting is necessary—Russian’s simple. TELL ME ABOUT THE CINEMATIC QUALITY OF THE AUDIOBOOK. In my involvement in this particular piece, I was again reminded of the cinematic quality of Hubbard’s writing and how powerfully he creates images for movies in the mind. 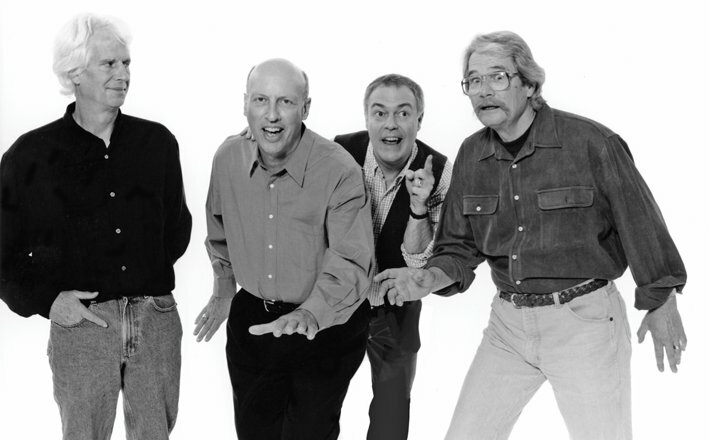 And I, of course, have a particular love of that approach to writing because I’m a member of the Firesign Theatre and we coined the phrase, “Movies for the Mind,” because we created the multi-leveled, in-studio production format for comedy. And it was designed so that it would last for decades, which it has done. Because somehow the magic that came out of the four men that were together—Phil Austin and David Ossman, Peter Bergman and myself—was that we were also futurists, like Hubbard. I grew up listening to radio programs, often live, with sound effects and with music and it stimulated my imagination and I would make little movies in my mind. Everybody did that. Even the comedy shows that you listened to, you would put yourself in the audience. And one of the things that so impressed me in working on this production was, how meticulously you work to create the perfect blend of original music, sound effects that are tremendously effective and challenging, and background voices, atmosphere, which I also have done for 50 years in movies and television. It’s quite an art to be able to have, to create a poetic environment that does not distract from the true story line. And you guys have mastered that as well. And I think you’ll feel that excitement when you hear Battlefield Earth. It’s part of the unique quality of these recordings. WHAT INTERESTED YOU THE MOST ABOUT BATTLEFIELD EARTH? One of the things that I think is most interesting about Battlefield Earth, as a piece, as a work of science fiction and science fantasy, is the fact that it’s rooted on greed, gold, money, politics and power. It will instruct you. It will inform you, it will inspire you, and that’s what art is all about.